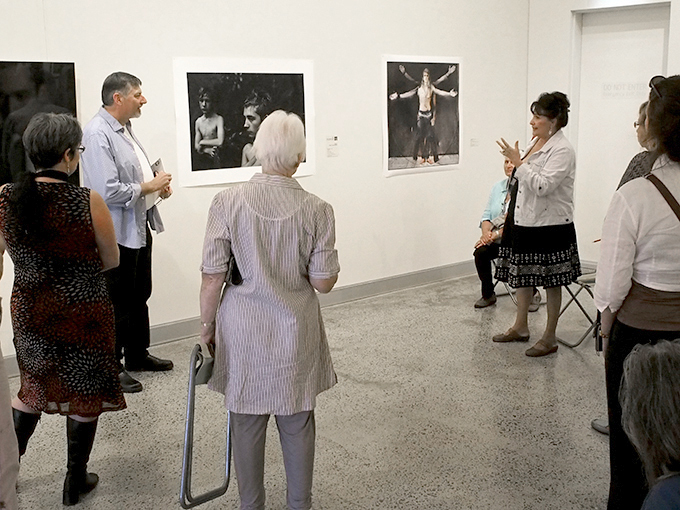 On September 15 about 30 people attended a floortalk in the exhibition space of the 2013 Olive Cotton Photography Award (OCA). In my preparation I reflected on the demands of a floortalk. Over the years I have given quite a few floortalks about my own as well as the work of others, including one at a previous Olive Cotton Award. I have also attended presentations by others. In this years OCA award I wanted to create an inclusive space for the audience. 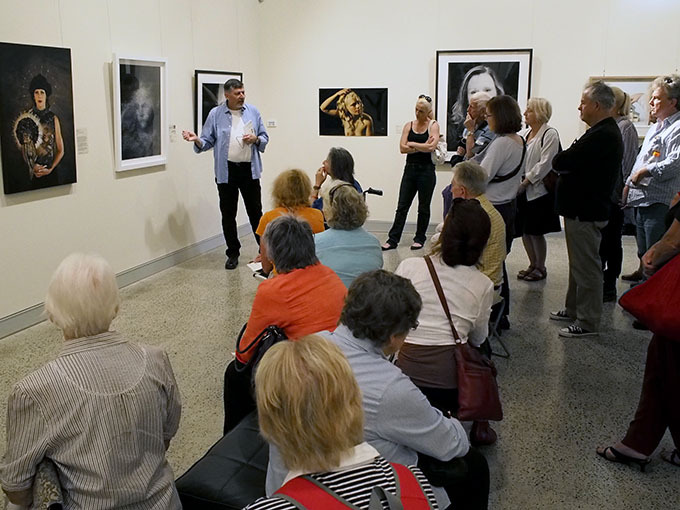 Rather than taking centre stage, I wanted to empower the attendees in a kind of role reversal­–to bring to the discussion their approaches to looking at, and responding to, the photographic portrait. I introduced a concept for viewing and interpreting photographs that I call ‘positioning’. It relates to the interaction that takes place when looking at a photograph – particularly a portrait. It is what reaches into our emotions lived experience and solicits our response. The premise of this floortalk format draws upon the notion that everyone is a judge and is also informed by Roland Barthes’ concept of the ‘death of the author’. I am interested in how the viewer’s interpretation relates to their own life’s experience rather than a direct connection with the author’s intent for the communication. After all, I as the floortalk presenter, can only offer an opinion based on my personal experience and knowledge. What follows is a conversational précis of the floortalk and the concepts covered relating to portrait photography and the OCA. After a formal introduction by Tweed River Art Gallery’s Public Programs Curator and Coordinator of the Award Anouk Beck, I addressed the group. We stand this morning in a gallery exhibition dedicated to the most photographed subject of all – the human face! The floor talk today will explore the idea of the photographic portrait and how we reflect on the success of this visual communication. There is an old saying that you can tell a great portrait because the eyes follow you around the room – Well any portrait, even a painting, where the subject is represented looking toward the photographer’s/artist’s viewpoint will capture the subject in a way that will enable this ‘phenomenon’ to be observed. So this method for assessing a portrait will not successfully operate here. Another way of knowing what great portraits look like is to ask an expert, whomever they may be, to make a decision. 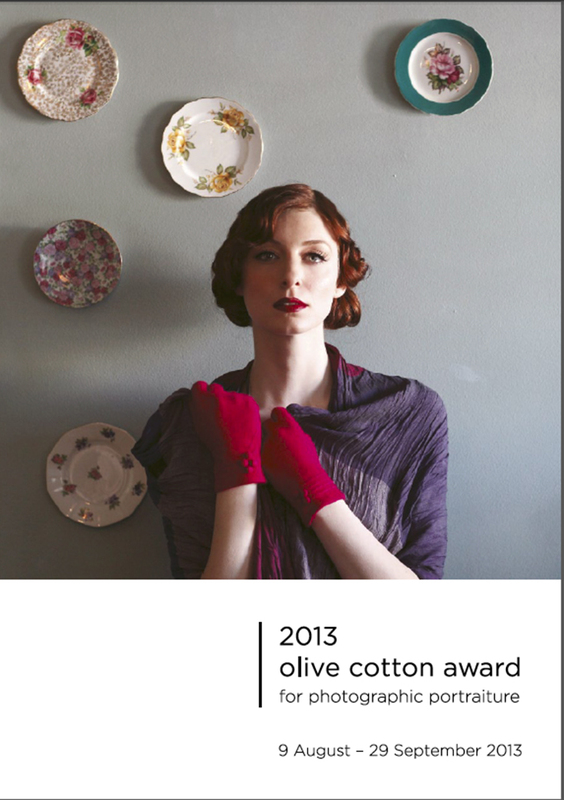 Awards such as the Olive Cotton Award use this principle and over the years an impressive list of pre-eminent photographers and/or critics and commentators on photography have been commissioned for the task. I must acknowledge the judge for this year’s award – Helen Ennis. I cannot think of anyone who would be as knowledgeable of the ideas, thoughts and working methods of Olive Cotton than Helen Ennis. 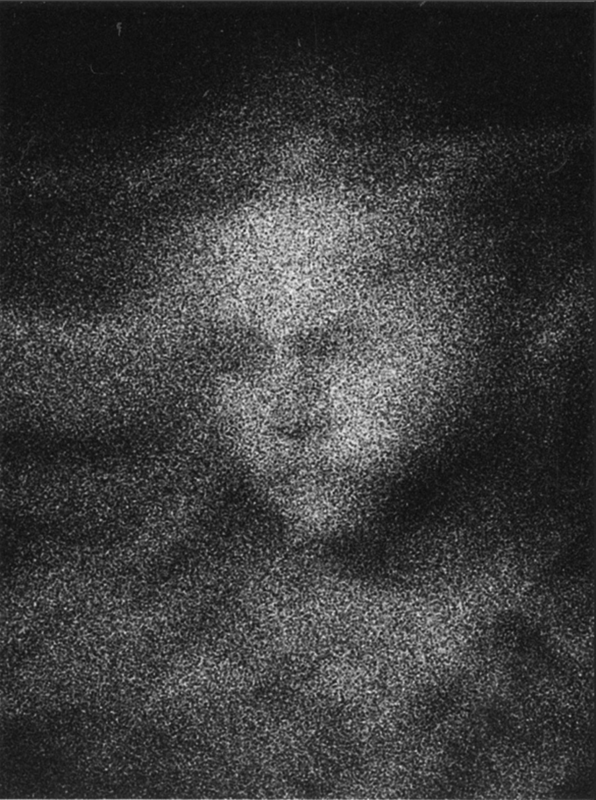 In her connection with Olive Cotton, Ennis has written several books and catalogues, selected works and curated exhibitions and is in the process of writing Cotton’s biography. Ennis has provided for us all a greater understanding of Cotton’s work and prominent position within the history of Australian photography. Now, let us think about portraiture and the act, as we find ourselves today, looking at and evaluating portraits. It is interesting to note that although the portrait is at the top of the list of photographic subjects, we can see in this award there is no standard approach. As we look around this gallery space today no two portraits look the same – I’m not referring to the diversity of subject’s portrayed, but rather the way the photographer has created and presented the subject to us. The photographs range from snapshots of unplanned spontaneous moments to documentary reportage and illustrative magazine styled images, and then to the overtly staged theatrical tableaux. Some images are derivative – that is that the approach to the image replicates time honoured, and sometimes perhaps over used or common, techniques, styles or treatments. Other images may represent subject and styles in ways that are vibrant and fresh. When a portrait is made the photographer makes personal decisions relating to equipment selected, technique, style, lighting, posing, gesture and subject expression. 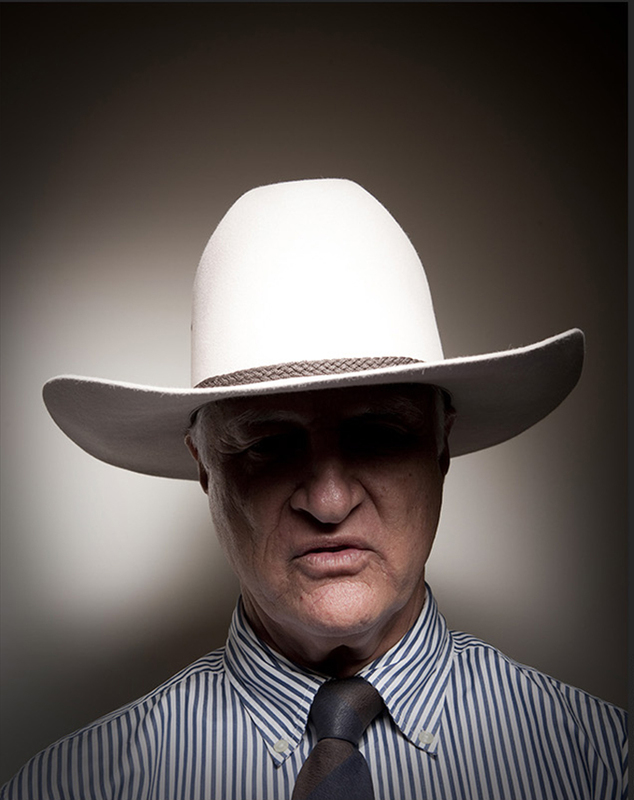 They make a portrait that satisfies their personal urge to tell a story. This story is usually firmly related to the subject; although it can be a theme the photographer is investigating or be based on something from the photographer’s own life experience. The photographer may want or even demand that viewers take from the work a particular and specific meaning. The artist’s statement accompanying exhibited works can support and signpost and influence the readings that a photographer may want to pass on. However, I would suggest to you, that once the image leaves the photographer and is presented publically a new paradigm exists. Writer and commentator on photography Roland Barthes wrote ‘… the birth of the reader must be at the cost of the death of the Author.’ (Barthes 1977:148). In this instance I propose that the photographer is the author – the reader is the viewer. When looking at photographs the viewer connects their life experience to what the work presents, and the narrative or meaning that emerges can no longer be the photographers alone – it is a hybrid born by the activation of the viewer. We are all judges in a way and each of us has a unique experience of the world that directs and supports our response to images that we view. We will no doubt encounter portraits here today that are universally powerful and profound yet there will be other images that may reach individuals amongst us in the most direct and personal ways. What this means is that each of us is a kind of judge, and that our individual responses may be just as profound as those experienced by Helen Ennis five or so weeks ago. [What followed in the floortalk was a conversation by the participants moderated through my involvement. The audience contributed some interesting responses and ideas about portraits that included; Tamara Dean’s ‘Brothers’ 2013, Russell Shakespeare’s ‘Bob Katter’ MP 2011, Tina Fiveash’s ‘Twin Spirits’ 2013, Imogen Hall’s ‘Barry Jones and the ancestor’ 2012. At times there were powerful and emotional connections made by particular participants which were then shared through this floortalk conversational strategy. [The floortalk concluded and attendees continued viewing other portraits in the show from their newfound critical ‘position’. The outcomes and exchanges resulting from my floortalk strategy was, for me, personally enlightening and rewarding. A number of participants came up after the talk to say how much they had enjoyed and appreciated the opportunity to discuss work and have their ideas, opinions and experiences shared in that way. Barthes, R. (1977). Image Music Text. London, Fontana Press. Photographs of the floortalk © 2013 Victoria Cooper. All other images are the copyright of the photographer.